Proximal humerus fractures are a common injury most often seen in elderly females with osteoporotic bone. The vast majority of these fractures are minimally displaced and amenable to nonoperative treatment. Appropriate surgical management is indicated in the remaining patients. Accurate diagnosis and classification of these fractures are the first steps in appropriate treatment. Authors have created a number of classification schemes with attempts made to link fracture type to treatment and prognosis. 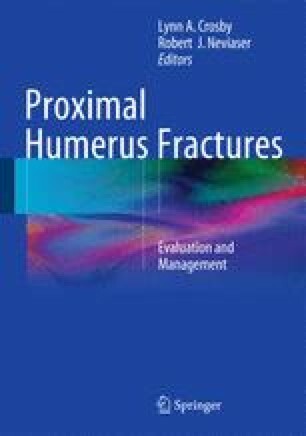 Knowledge of the bony anatomy, muscular attachments, and vascular supply of the humeral head has guided the creation of classification systems of these fractures. Dr. Charles Neer utilized this knowledge in the creation of his four-segment classification scheme. His system is the most widely used and studied in the current literature. An experienced surgeon with good imaging can use The Neer classification system to aid in diagnosis and help guide treatment of these fractures.